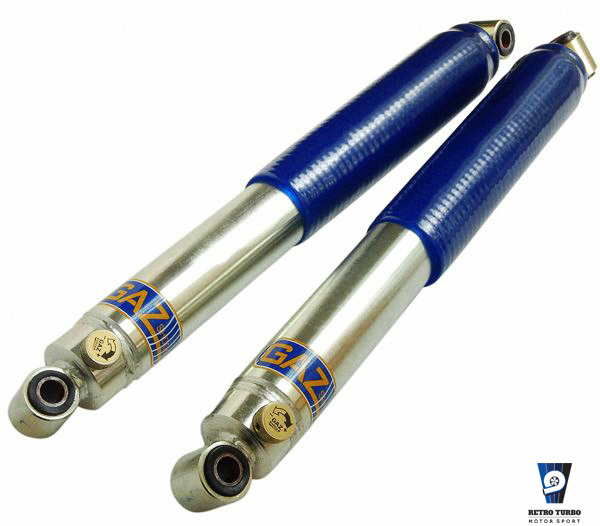 Volvo 240 /260 Series GAZ GT adjustable dampers. These telescopic dampers will enhance your classic Volvo handling capabilities. This unit can be built in various open and closed lengths and will adjust bump and rebound off a single control knob. 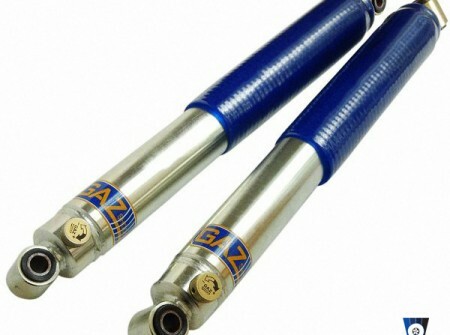 GAZ GT series offers 40 point adjustment. These GAZ GT series come in standard length. SKU: 240GAZrearShock. Category: Coilovers, Rear suspension components, Shocks, Volvo 240 Series Parts.